The Residential Service is registered with the Care Quality Commission to provide personal care to 24 service users. The home is purpose built on one level. All of the rooms are spacious and include en-suites, overhead hoists and views of the gardens. The communal areas are spacious with a spectacular view of Chipstead lake and the gardens. Staff treat each person as an individual, providing a person centred approach. 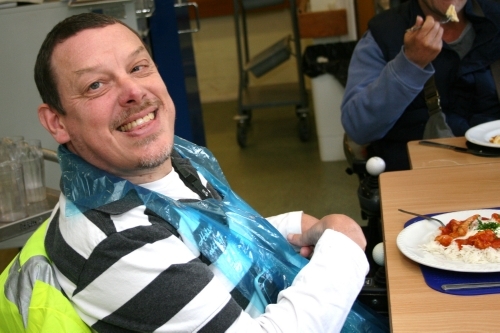 We aim to support each service user to live as independently as possible; providing support to enable and develop skills and focusing on what individuals can do, rather than on what they can't do. Our service provides a varied, nutritious menu prepared by our team of chefs from ABM catering. We cater for all special dietary requirements, including diabetes, soft food diet and vegetarian and are happy for service users to invite guests for a meal. Our kitchen has been rated 5* by the Environmental Health Officer. We offer a range of facilities including a specialised hydro massage bath, call bell system in all rooms and a social bar. Individuals are also able to install telephone points, broadband and Sky T.V. The staff team at Chipstead Lake are trained to provide high quality support and to be responsive to individual's needs. Our staff undertake regular training to ensure that they are adequately trained to deal with the changing needs of the service users. All our staff have received mandatory and statutory training and many of them have also achieved a diploma in care (NVQ). Residential service users have full access to the resource centre as well as physiotherapy.